Are There Ways of Improving Your Singing Voice? I’ve found one thing almost every singer, young or old, is interested in. Yes, it’s finding ways of improving their singing voice. And, with the information highway, you’ll find plenty of tools available like..
to give your singing voice a smoother sound and reach those high notes. 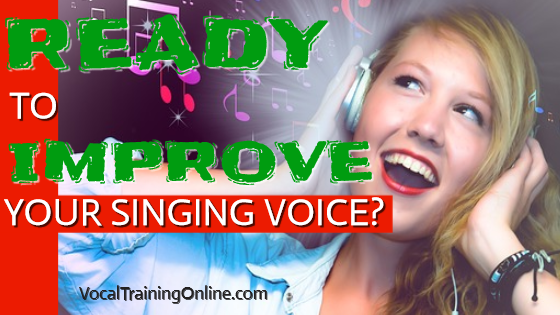 This vocal tutorial gives you 3 ways of improving your singing voice – before you traipse in to a karaoke contest or a junior singing audition. Learning how to cope when you do not have ideal vocal conditions is something all serious singers must confront. We would all like to feel terrific and have perfect weather when we are demonstrating our talent at auditions. If it’s our turn at karaoke, the last thing we want is to be bothered by our allergies. An improving singing voice can still reach the high notes and rise above the weather and illnesses when necessary. It’s a given that these allergies come from so many sources. can attack you almost anywhere. And, they play havoc with your voice. Excess mucous clogging up your vocal chords will definitely change their ability to produce the sounds you want. Some allergies can even cause edema, or swelling of the vocal muscles. Not a good thing either. One solution is to build up your immune system to fight off these little critters before they can take up residence. Healthy eating and natural supplements can go a long way towards improving singing voice abilities in less than perfect conditions. Since antihistamines tend to dry out the throat, try sipping herbal teas for both preventing allergy attacks and relieving yourself from the discomfort if they have become entrenched. Watch out for sugars, excess dairy products, and wheat in the spring if you need to sing and are prone to allergy issues. The old mantra, drink plenty of fluids, holds true. And, some vocalists swear by Vitamin C for improving singing voice quality. As you loosen up your voice by practicing the scales, keep using good breathing techniques. In hot, humid weather, you will tend to be more breathless and shorten your notes. Next, study your music carefully to see where you can take breathing breaks without spoiling the flow of the song. Be consistent with your practice. Set up a special time every day to improve your singing and stick to it. There’s simply no substitute for practice. Even humidifiers at home can give you improving singing voice quality. Don’t have one? Try a bowl of hot water with a towel over your head like in the old days, but not more than 10 minutes at a time. Now, go to do your performance. Put on your best smile, act at ease, and improving your singing voice will follow. Take the time. Learn how to sing better and higher, then protect your voice fiercely! 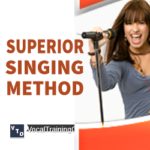 Want complete singing lessons online? Try out the Singorama course here.. Remember, your voice needs tuning. It performs just like a musical instrument. It’s no secret that singing and acting are common hobbies artistic-minded people take with them throughout their lives. And, you may be one of them. But sadly, not everyone can do these things professionally. How do you write a song? Now, discover how to make songwriting a piece of cake. If you’d like to take your music from ordinary to extraordinary, you can write a signature song all your own, even if you don’t read music. Know How to Sing Trills? You may have heard of vocal trills and runs. But, do you use them in your singing? Did you know that trills are one of the ways of improving your singing voice? Well, check out singer Joyce DiDonato as she teaches a trill for you.